One of the most suitable options for packaging of hefty materials, featuring bottom closure is the box style of 1-2-3 Bottom Box. These custom boxes are one of the types of the bottom closure box available for packing every kind of objects as a whole and heavy weight objects in particular. These boxes are also referred to as Snap Lock boxes, auto bottom boxes or auto lock boxes. Deciding the right material and box for your products may seem to be an easy decision, but some details must be considered to decide on the best option. The main things to be measured are box structure, style, and size. Simple corrugated boxes were an ideal packaging solution, but in the recent year, different style of folding cartons and boxes have taken their place. 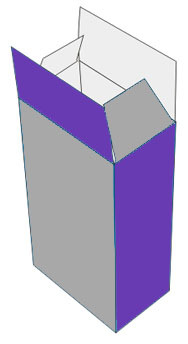 Now day’s boxes with bottom closure are considered to be best for packaging various products. 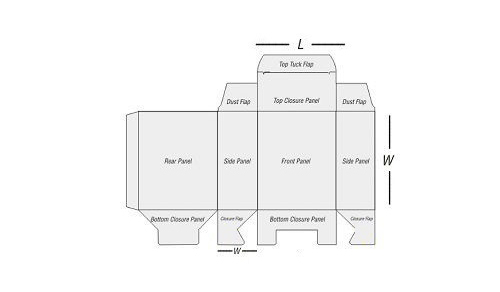 Bottom closure boxes come in a variety of styles from 1-2-3 bottom box to seal end auto bottom. Each bottom closure box has its specialty regarding your need and affordability but if you are looking for heavyweight products packaging with safety and durability then 1-2-3 bottom boxes is undoubtedly the solution. It works well for heavier products as bottom closure add more strength. It is also known as snap lock bottom box. It is inexpensive and offer a high level of security than tuck top bottom boxes but requires more time to assemble than auto-bottom boxes. The flaps on the bottom are interlocked to give complete closure, and you can also add tabs to the bottom which provide more strength. Product safety is the primary concern of both buyer and seller when it comes to packaging. 1-2-3 bottom boxes help you to sustain the value of the product from production point till it reaches its destination. It adds more security and durability to your product than other boxes style for folding cartons. These boxes have a bottom closure and tuck top closure, both these features add more strength to your packaging and protect your product from any damage. Some products need extra protection for this a fence portioning can be added to provide more protection from inside damage. The 1-2-3 bottom box works better than top-tuck bottom boxes for heavy weight products or items. Problem with another kind of packages that they cannot bear the weight of the product and quickly get damaged or broken. These boxes are made with sturdy and high-quality material that gives support to your products. 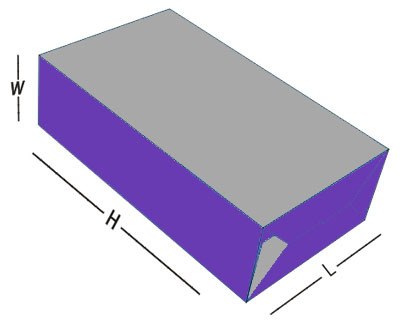 To hold the weight of products packaged inside the box side frames of the bottom flaps are interlocked which provides the box a secure and wholly closed bottom. The chances of accidental opening of bottom flaps are meager. 1-2-3 bottom boxes are same like a puzzle where different pieces are assembled to form a complete picture. Assembling of boxes take some extra time, but it is easy and straightforward. It takes only three steps to assemble your box, and that is why it is called 1-2-3 bottom box. Fold the largest bottom panel, then two end panels and lastly fold and press into the remaining bottom panel. They are also considered as special folding carton or boxes. The unique locking mechanism makes them stronger than tuck top snap boxes and tuck-top bottom boxes. There are a lot of customization and printing options when it comes to 1-2-3 bottom boxes. From size to material everything could be customized according to your needs. These could be used as a useful marketing tool for awareness and promotion of your brand. You can print logo, company name and other promotional ideas on top and side of boxes. These boxes can be a smart mean of marketing if done rightly with the latest technology, by blending the subtle cuts and by using the best color combination. You can also do window patching, window cutouts, and other same forms of customization on your box. The material used for 1-2-3 bottom boxes is inexpensive which makes these boxes easily affordable as compared to other packaging solutions. They are the lot cheaper in term of manufacturing cost than other bottom closure boxes, i.e., tuck end and auto-lock bottom boxes. These boxes also come up an economical packaging solution for significant order volumes. If you want an efficient, durable, and sturdy packaging box for your product, then 1-2-3 bottom boxes are for you. These can be a unique solution for your convenience and cost-effective packaging. Customize packaging pro offers you 1-2-3 bottom boxes in all custom sizes. We also provide you lost of customizing options including foiling, Spot UV, embossing and plastic window. The material used for these boxes is Kraft, Eco-friendly and E-flute. For coating, we provide you gloss and matte, or you can also get it un-coated, the choice is yours. Our turnaround time is too fastest. 100% satisfaction and quality services are guaranteed.